Each semester, twelve graduating seniors are selected as outstanding seniors to represent the College of Engineering. Of these twelve, one is chosen as the college’s student marshal at the undergraduate commencement ceremony on December 15. Michelle A. Friedmann has been selected to represent the Iowa State University College of Engineering in the 2018 fall commencement as student marshal on Saturday, December 15. Friedmann was nominated by Lindsay Frueh, academic adviser for agricultural engineering and biological systems engineering, and recommended by Raj Raman, Morrill Professor of agricultural and biosystems engineering, Carl Bern, University Professor of agricultural and biosystems engineering, and Thomas Brumm, associate professor of agricultural and biosystems engineering. Friedmann will graduate with honors from the biological systems engineering degree program with an emphasis on food engineering, a minor in food science and a GPA of 3.97. “Michelle is a very impressive student. She has shown her work ethic, intelligence, ability to work with others, knowledge gained from the courses in her engineering program and, most of all, her potential to do great things in her future career,” said Bern. Friedmann has performed undergraduate research under Bern as well as Kurt Rosentrater, associate professor of agricultural and biological systems engineering. These opportunities led to manufacturing engineering associate internships with General Mills for two summers. Friedmann has been involved in Brumm’s undergraduate research group, actively contributing to the ABE post-harvest engineering research group – made up of faculty and graduate students. According to Brumm, this is unusual for undergraduate students. After graduation, Friedmann will be staying at Iowa State to pursue a master’s degree in agricultural and biological systems engineering under Dirk Maier, professor of agricultural and biosystems engineering. Their research will relate to reducing post-harvest losses in developing countries. Friedmann has been on the Dean’s List throughout her Iowa State adventure and been heavily involved in the honors program, the ABE peer mentor program, Women in Science and Engineering, Tau Beta Pi, Engineers Without Borders and Lord of Life Lutheran Church as a youth director,. 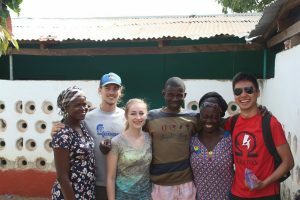 As vice president of Engineers Without Borders in 2017, Friedmann led seven Iowa State students in northwest Ghana to help construct a borehole to bring water to the community, and as continuing vice president for 2018, she is organizing another trip to complete the construction over winter break. Friedmann was also a 14-year member of the Girl Scouts and earned the Girl Scout Gold Award by teaching middle school girls about engineering to encourage young women to pursue STEM goals. Other honors include the KK Barnes Student Paper Competition winner at ASABE International Conference, best capstone project at the Engineering Honors Program poster symposium, the David Lambert Hunger Fighter Memorial Scholarship, the 2018 Greater Iowa Scholarship, the Leon Charity Scholarship and the Iowa State Janice Davison Memorial Scholarship. 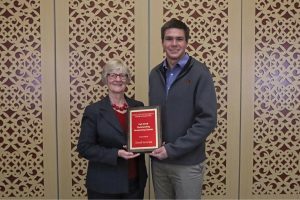 “I am incredibly humbled to have been named the outstanding chemical engineering senior for fall 2018 and am excited to begin to work to advance the safety of chemical plant processes, as well as helping to manufacture products that will increase the quality of life for people around the world,” Arbogast said. Arbogast was recommended as an outstanding senior by Jennifer Heinen, senior lecturer of chemical and biological engineering and Andrew Hillier, Reginald R. Baxter Endowed Department Chair in Chemical and Biological Engineering. During the Spring 2018 semester, Arbogast conducted research with J.P. Tessonnier, associate professor of chemical and biological engineering, in renewable nylon production, and now volunteers as a chemical engineering ambassador through the student services office in the chemical and biological engineering department. As an ambassador, Arbogast meets with prospective students and their guests, and answers questions about chemical engineering at Iowa State. 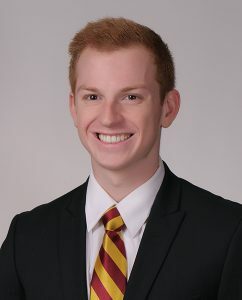 Outside of school work, Arbogast has been a member, chapter president, scholarship chairman and, currently, standards board chairman for the Phi Kappa Theta fraternity on campus. He was also named the Interfraternity Council President of the Year for 2017. In addition, Arbogast has completed three internships with Lyondellbasell Industries as a process engineer, working to identify and troubleshoot problems to improve process safety. Upon graduation, Arbogast will be moving to Matagorda, Texas to work as a production and process engineer with LyondellBasell Industries. Michelle Camp, aerospace engineering, math minor. Camp will be graduating with a 3.67 GPA, a Bachelor of Science degree in aerospace engineering and a math minor. She was nominated by Brad Eilers, academic adviser for aerospace engineering. While at Iowa State, Camp has been active in Women in Aviation, the American Institute of Aeronautics and Astronautics (AIAA), the Flying Cyclones, Aerospace Student Council, Make-to-Innovate, Spaceflight Operations Workshop, Sigma Gamma Tau Aerospace Honor Society, Tau Beta Pi Engineering Honor Society and the Cardinal Key Honor Society. 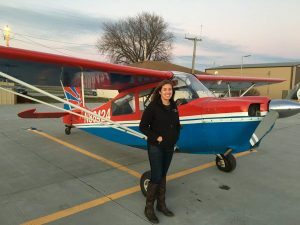 In addition to her membership, Camp has served as co-founder, secretary and president of Women in Aviation, secretary and president of Sigma Gamma Tau, secretary of AIAA and a team pilot for the Flying Cyclones. Camp was also a peer mentor for Engineering Student Services, a tutor for the Academic Success Center, an undergraduate research assistant and a scuba assistant for Ames Scuba. 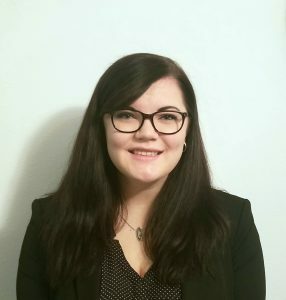 In 2015, Camp had her first co-op with Rockwell Collins, focusing on enterprise sourcing, system tests and code analysis for the MH-47 Chinook and MH-60 Blackhawk helicopters in 2015, and went on to intern with The Boeing Company as a design engineering intern, assisting with drawings and 3D CAD models for the MH-47 Chinook in 2016. In 2017, Camp interned with Textron Aviation as an aerosciences intern, conducting aerodynamic analysis using analytic, wind tunnel and flight test data, and studied abroad at the University of New South Wales in Sydney, Australia over winter break. Camp’s final two internships were with Edwards Air Force Base as a weapons integration intern working with F-16 Fighting Falcon military aircraft. During these two internships she performed video analysis of flight test data, conducted system checks in the aircraft to verify that the aircraft and weapons systems were properly integrated, aided in conducting flight test missions and monitored real-time data to ensure the aircraft was performing correctly and assisted with creating and distributing updates to all test wing personnel. With four internships, a co-op and a study abroad experience under her belt, Camp has been hired full-time at Edwards Air Force Base in California and plans to begin graduate school online in fall 2019. Bob Thompson, academic advisor in electrical and computer engineering, recommended Coffey, who will be graduating with a 3.67 GPA this semester. Coffey is unique, according to Thompson, because she is a transfer student who has transitioned well into the academic load of the electrical and computer engineering program, as many students struggle with. Coffey has been a teaching assistant for CPRE 288, an active member and software project chair of Eta Kappa Nu and has volunteered as a tutor for the HKN help room. She is also an ECPE student ambassador, presenting to prospective students and parents to inform them about the computer engineering program. “She does an excellent job of being a spokesperson for our department and Iowa State University,” Thompson said. Coffey has interned for Caterpillar, Inc. in Mossville, Illinois, Seagate Technology in Shakopee, Minnesota and General Dynamics in Bloomington, Minnesota. Coffey has been honored with the Data Technology and Applications Portfolio Golden Apple Award and won the Caterpillar Yellow Iron Viz Competition. In January, Coffey will start full-time as a software engineering at General Dynamics Mission Systems in Bloomington, Minnesota. Fleiner will be graduating with a 3.94 GPA and was nominated by Teela Wilmes, academic adviser. Fleiner received the Invention Disclosure Award from The Boeing Company for Calculating Targeted Object Altitude Utilizing Device Sensors and Weather Data and served as an Iowa State student ambassador for Rockwell Collins, planning on-campus events and networking with students. Fleiner has had five internships during his time at Iowa State: a web developer for Union Pacific, an IOS Mobile Developer and Software Engineer for Rockwell Collins and an IOS Mobile Developer for The Boeing Company. While at Boeing, Fleiner led in developing iOS mobile applications Training Circle, which helps improve the collaborative learning environment for airline mechanics in training; Augmented Reality POC, which helps airline mechanics undergo maintenance training by identifying airplane components and displaying their instructions; and TnPS Translation, which translates aviation training documents in real time. Kieffer will graduate with a 3.51 GPA and was nominated by Chris Rehmann, associate professor of civil, construction and environmental engineering. 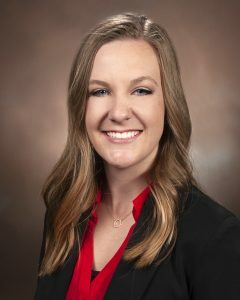 At Iowa State, Kieffer has been a member of the American Society of Civil Engineers student chapter, the program for Women in Science and Engineering and served as an engineering career fair ambassador. In a project led by Zachary Hans, a research engineer at Iowa State’s Institute for Transportation, Kieffer performed research on intersections across Iowa to locate and record attributes to be used for crash analysis. Kieffer has been involved in several competition teams, where she designed and fabricated a bridge as part of the Steel Bridge team and designed a 5-foot tall balsa skyscraper that survived a shake table test in Los Angeles with the Earthquake Engineering Research Institute. She is also president of CCEE Ladies, a club designed to help women in civil and construction engineering connect and network. Kieffer gives back to her community through the Greater Des Moines Habitat for Humanity, volunteering for the FIRST LEGO League competition at ISU, the Iowa High School Science Bowl, as a small group leader at St. Thomas Aquinas Catholic Church for two years, with the Catholic Daughters of the Americas and on a “Collegiate Challenge” service trip with Habitat for Humanity to Tahlequah, Oklahoma. Over the past three summers, Kara interned at Calhoun-Burns & Associates, Inc. in West Des Moines. Throughout her time at Iowa State, Kieffer has worked at ISU Surplus and Central Stores, where she created a database of material safety data sheets of all products sold at Central Stores and served as a teaching assistant for C E 306: Project Management. In addition to her leadership positions, Kieffer also studied abroad in the United Kingdom in May 2017 as part of C E 395 Global Perspectives in Transportation, visiting engineering marvels like the Falkirk Wheel, Stonehenge, The Kelpies and many bridges and castles. Kieffer has been named to the Dean’s List, awarded with the Iowa County Engineers Association Scholarship three times and won the Iowa Concrete Paving Association Scholarship Award, Harold & Mercedes Cessford Memorial Scholarship, Maurice S. & Elinor J. Reid Scholarship in Civil Engineering, Paul B. Reis Memorial Scholarship, AGC of Iowa Scholarship and Iowa State Academic Recognition Award. 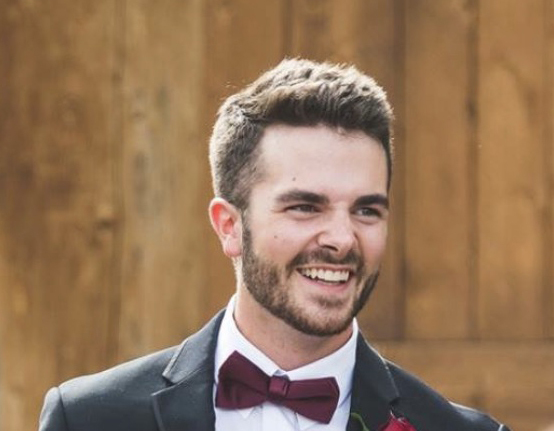 After graduation, Kieffer will take a full-time position designing and inspecting bridges and culverts with Calhoun-Burns & Associates, Inc.
Taylor Kjeldgaard, industrial and manufacturing systems engineering. Kjeldgaard will be graduating with a 3.76 GPA and was nominated by Leslie Potter, senior lecturer of industrial and manufacturing systems engineering. Her senior capstone design team completed a semester-long project at Mary Greeley Medical Center in Ames, focusing on the surgery scheduling process. Their recommendations will save the hospital $1.4 million each year from increased efficiency. This project earned first place for IMSE capstone projects in the spring 2018 semester. Kjeldgaard has completed a long-term internship with Mutual of Omaha, working with employees from NuStratis, an on-site industrial engineering firm working with the insurance company to implement a company-wide, 3-year project. According to Potter, Kjeldgaard implemented management tools and strategies, reviewed performance metrics, developed standard operating procedures, and created training modules for over 5,000 employees through this internship. Kjeldgaard was also a participant and leader for the 2015-2016 Iowa State University Dance Team, performing at home football and basketball games and earning a division first place at state competition, and was a member of the Iowa State University hip hop dance club, Dub H.
As part of the performance team, she was selected to perform at Wells Fargo Arena and at high school events throughout the state of Iowa. Kjeldgaard has been involved in Love Your Melon since the Fall of 2016, holding multiple leadership positions in the organization and is currently the secretary of the Love Your Melon Iowa State Campus Crew with a mission to give a hat to every child battling cancer in the United States. Her other volunteer activities include helping build a state park playground in Council Bluffs and participating in Dance Marathon, helping to raise $326,000 for children battling cancer. “It is students like Taylor who make the difference in this world, and IMSE and Iowa State’s College of Engineering can be extraordinarily proud to call her one of their own,” Potter said. 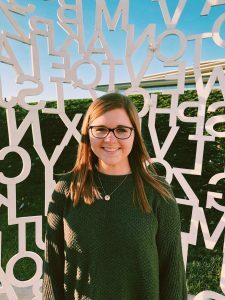 Upon graduation, Kjeldgaard will be working with robotic automation solutions as a project coordinator for Acieta in her hometown of Council Bluffs, Iowa. Jia Wen Lee, agricultural engineering with emphasis in power and machinery. Lee will graduate with a 3.97 GPA and was recommended by Ben McCarty, student services specialist in agricultural and biosystems engineering. Lee is a transfer international student form Malaysia, starting in fall 2015, and has started graduate studies in ABE under Matt Darr, which he will continue upon his undergraduate commencement. “He was always eager to learn new crafts outside of his skill set and had a tremendous track record of success with each new skill learned,” Rob Hartmann, supervisor for ABE’s Student Innovation Lab. Aside from his research assistant position, Lee has had an engineering co-op with Ag Leader Technology and worked as a student innovation lab technician and student programming and research assistant for ABE. Lee has also served as webmaster and robotics team leader for the American Society of Agricultural and Biological Engineers and as mechanical lead for the ISU Robotics club’s autonomous snow plow division. In partnership with Iowa State, Lee is a mentor for First Robotics (4-H) team at Ames High School. “Jia Wen is a highly collaborative student and always looking for new opportunities to learn. His background in computer programming was beneficial to departmental research projects,” McCarty said. Upon graduation, Lee plans to attend graduate school at Iowa State with the goal of making robots for agriculture. Nemeer Jaleel Padiyath, mechanical engineering with a minor in energy systems. Padiyath will be graduating with a 3.97 GPA and was recommended by Caroline Hayes, Lynn Gleason Professor in Interdisciplinary Engineering and chair of mechanical engineering. “Padiyath is a high achieving student, a strong leader, emotionally intelligent and a very hardworking individual,” Hayes said. 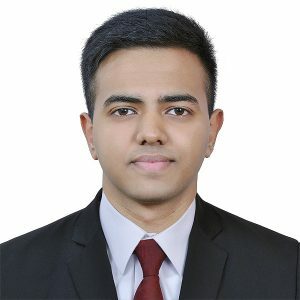 Originally from Dubai, Padiyath transferred to Iowa State from Manipal University in India in 2016. “He learned to cope with the hardships and mental struggles that went with the demanding coursework and culture shock he faced from being away from home and applied those skills to his studies here at Iowa State,” Hayes said. According to Hayes, Padiyath immediately jumped in – joining many clubs and achieving a 4.0 his first semester. Padiyath has served in leadership positions in Cyclone Space Mining, as co-head of the suspension team, team lead for ISU AIAA’s Caterpillar Innovation Challenge, and Pi Tau Sigma, the mechanical engineering honors society, as president and co-founder of a major event. He has contributed further as an research assistant in Non-destructive Evaluation and a teaching assistant in ME 436: Heat Transfer, a senior engineering course. Padiyath was also one of 12 to represent the state of Iowa to bring forth, inform and discuss issues regarding the aerospace and defense industries with senators, congressmen and their staffers at Capitol Hill, Washington D.C.
Not only is Padiyath involved, but he is working to introduce a new course to Iowa State’s catalog, Introduction to Social Awareness in the Workforce, which would aim to provide a learning environment to high achieving engineering students who wish to develop emotional intelligence for leadership and career opportunities. In addition to on-campus endeavors, Padiyath is working toward a position at ITER in southern France and possibly attending graduate school at MIT, Princeton or Berkeley. To that end, Padiyath is taking additional coursework through a program out of Switzerland on plasma physics. Noah Reddig, construction engineering with an emphasis on building and a minor in entrepreneurial studies. Reddig will graduate with a 3.75 GPA and was nominated by Chris Rehmann, associate professor of civil, construction and environmental engineering. Reddig was named to the Dean’s List in all eight semesters at ISU and was named to the Golden Key International Honor Society. He won the Associated General Contractors (AGC) Scholarship, College of Engineering Scholarship and the Spencer Nelson Scholarship, awarded to a student-athlete. Reddig also won the Theta Chi Academic Scholarship, Theta Chi Scholar of the Year Award and Best New Member Education Program for Iowa State Greek Life for his fraternity. Finding the existing fraternity new member eduction program uninteresting, Noah revamped it into an award-winning experience with fun activities such as camping trips, personal development, team-building exercises, professional development and an orientation to ISU and Greek life, according to Rehmann. “With Noah, it’s somewhat difficult to distinguish between his participation and leadership in student organizations and his service,” Rehmann said. Reddig was part of the Green Energy Challenge team that won the national championship in Boston in 2015-2016. He also worked with Love Your Melon, raising money for a cure to pediatric cancer, motivated by his high school friend’s diagnosis with brain cancer. Reddig has interned with GE Johnson Construction and M.A. Mortenson Construction, where he will be working full-time in Colorado upon his graduation. At Iowa State, Reddig served as a peer mentor for the construction engineering learning community. “Doing well myself is good, but teaching others to succeed is better,” Reddig said. Reddig also worked for the National Association of Home Builders to build benches in a park and with the student chapter of the Associated General Contractors to repair a hiking trail and houses in Ames and volunteered for the Special Olympics and tutored at the Boys and Girls Club in Ames. Severson will be graduating with a 3.76 GPA and was recommended by Anthony Moore, academic adviser in electrical and computer engineering. Severson has interned with the Midcontinent Independent System Operator for the past two semesters and previously with NextEra Energy. At Iowa State, Severson has served in leadership roles, including as teaching assistant for electrical engineering courses and peer mentor to undeclared students, each for two years, and a mentor for the Engineering Emerging Leaders program. Severson also volunteered with FIRST LEGO League and Habitat for Humanity. 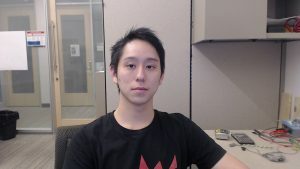 Severson is currently working part-time for MISO during his final semester and will be working for MISO as an electrical engineering upon graduation. Matthew Swift, materials engineering with an emphasis in polymers, a secondary major in physics and minors in math and biomedical engineering. Swift will be graduating with honors and a 3.98 GPA, and was nominated by Andrea Klocke, academic adviser for materials science and engineering. Swift took a heavy course load and still came out with a high GPA, attributed by Klocke to his natural intellectual curiosity about topics complementary to his classwork. He began working with Thomas McGee, professor emeritus of materials science and engineering on a project related to osteoceramics, and transitioned last year to work under Michael Bartlett, assistant professor of materials science and engineering, in the Soft Materials and Structures Group. “Both faculty members describe Matthew as an outstanding member of their undergraduate research team, and Matthew developed excellent working relationships with all of his research and classroom mentors,” Klocke said. 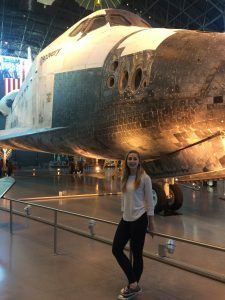 Swift also interned with Encapsys Microencapsulation and NASA-Langley and studied abroad in Torino, Italy in 2016. 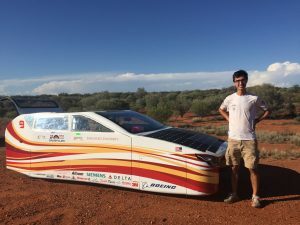 Swift has been involved in Material Advantage at Iowa State, as well as PrISUm, leading as research and development manager and composites manager, and leading the first trip to Australia to participate in the World Solar Cup Challenge. 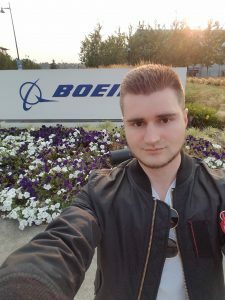 After graduation, Matthew will begin working for SpaceX, California.